Tuesday, August 28, 2018, has been fixed for the commissioning of a new factory constructed by one of the leading brewers in Nigeria, International Breweries Plc. The new plant, believed to have gulped $250 million, is situated at Km 3, Flowergate Industrial Scheme, Sagamu-Abeokuta Expressway, Ogun State. Expected next Tuesday to commission the factory, which is believed to be the biggest plant of the firm in West Africa, is President Muhammadu Buhari. Commenting ahead of the launch, Managing Director of International Breweries, Mrs Annabelle Degroot, stated that the plant will provide a great opportunity to engage qualified locals who are excited about the prospects of forging a career with the brand, while thousands of both direct and indirect jobs would be created. International Breweries is a subsidiary of AB InBev group, the world’s largest brewer, and produces Trophy, Hero, Betamalt, Grandmalt, Castle lite, Eagle Lager and Budweiser. The Sagamu plant to be launched next Tuesday is the company’s fourth brewery in Nigeria. The other three are located in Ilesa (Osun State), Onitsha (Anambra State), and Port-Harcourt (Rivers State). Those expected to attend the commissioning include Minister of Industry, Trade and Investment, Mr Okechukwu Enelamah; Minster of Budget and Planning, Mr Udo Udoma; CEO of the Nigerian Stock Exchange (NSE), Mr Oscar Onyema; CEO of AB InBev, Mr Carlos Brito, amongst others. 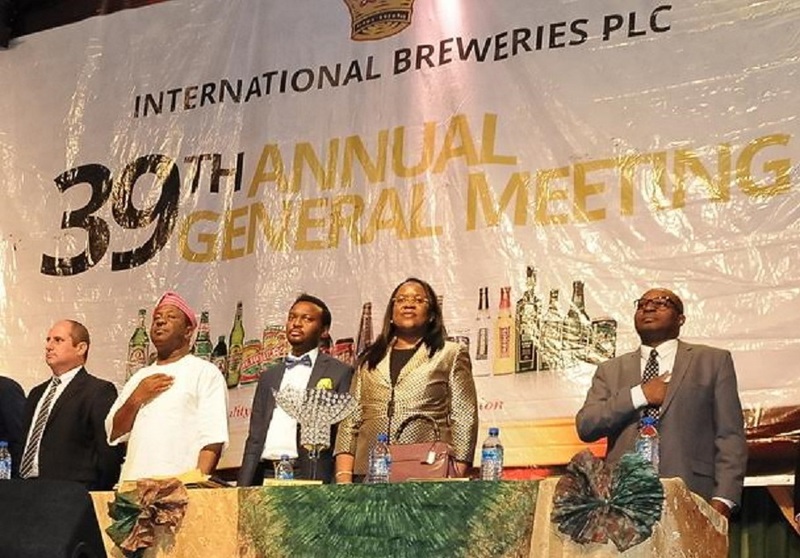 Business Post reports that as at the close of transactions on the local stock market, the shares of International Breweries were traded for N35.20k per unit.